fills any extra time I have right now. I’m going to spend about 5 days quilting with friends and hope to get the quilt finished while I’m away. I’m taking a couple of projects with me to either get ready to quilt or start quilting on. One will be a piece that I’ll be collaborating with another quilter. They pieced the top and I get free reign quilting. How cool is that? In the mean time, I’m still teaching, getting classes ready for the fall. Setting up some private lessons and being inspired. 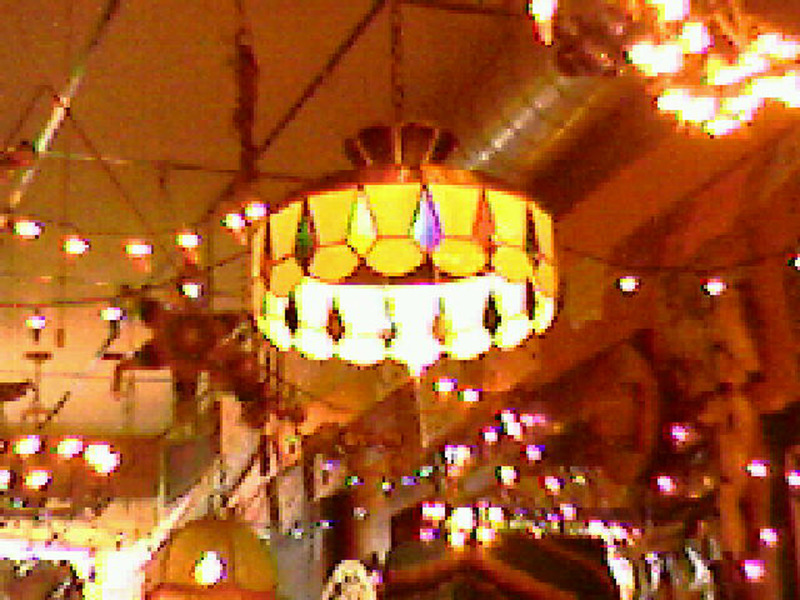 My sweetie and I were at Carlos O’Connors in Red Bank NJ loved this light fixture so much I just had to share. Of course I’m already thinking of a whole cloth quilt. The picture is a bit blurry as it was taken with my phone. The diamonds and the curves just caught my attention. I think I’ll add something like this to my sketch book.